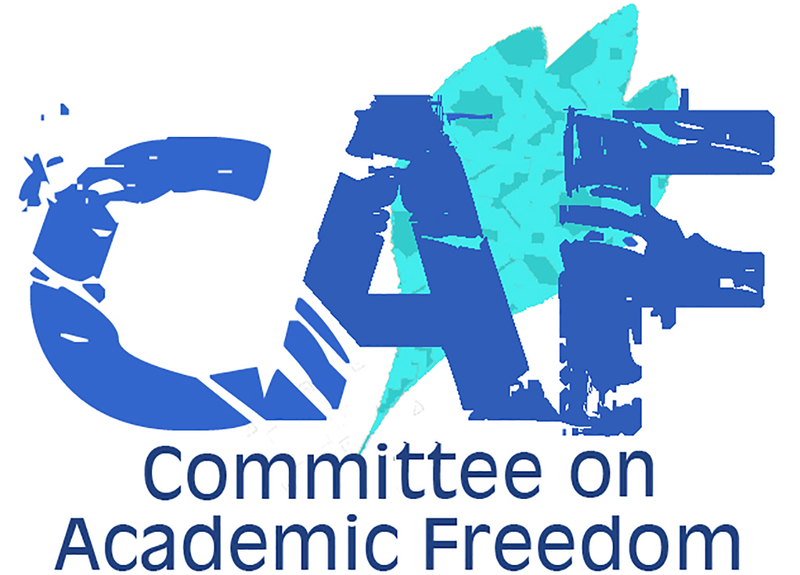 We write to you on behalf of the Committee on Academic Freedom of the Middle East Studies Association of North America (MESA) to express our profound dismay that the State Security Court of the Federal Supreme Court has upheld the 10-year prison sentence imposed in May 2018 on the internationally-recognized human rights advocate Ahmed Mansoor. The recipient of the prestigious 2015 Martin Ennals Award for Human Rights Defenders and a member of the advisory board of the Gulf Center for Human Rights and the advisory committee of Human Rights Watch’s Middle East and North Africa Division, Mr. Mansoor was one of the few Emirati advocates prepared to raise in public the issue of the escalating human rights crackdown in the UAE after 2011. It is our firm belief that Mr. Mansoor’s treatment since his arrest in May 2017 and his conviction by the State Security Chamber of the Federal Appeals Court in Abu Dhabi of insulting “the status and prestige of the UAE and its symbols” on social media mark another damaging assault on the right to freedom of speech and the principles of the rule of law and due process in the UAE. MESA was founded in 1966 to support scholarship and teaching on the Middle East and North Africa. The preeminent organization in the field, the Association publishes the International Journal of Middle East Studies and has nearly 2500 members worldwide. MESA is committed to ensuring academic freedom and freedom of expression, both within the region and in connection with the study of the region in North America and elsewhere. Ahmed Mansoor was detained by twelve members of State Security on 20 March 2017 and held in secret detention in an undisclosed location without access to legal representation for nearly one year. In February 2018, UAE authorities told two lawyers from Ireland who travelled to Abu Dhabi to try and gain access to Mr. Mansour that they had no information about his whereabouts. On 27 February 2018, the Martin Ennals Award for Human Rights Defenders issued a joint statement with the Ireland-based Front Line Defenders human rights organization that called on UAE authorities to release Mr. Mansoor and, pending his release, disclose his whereabouts, and ensure access to legal representation and protection from torture and mistreatment. Mr. Mansoor was brought to trial in mid-March 2018 at the State Security Chamber of the Federal Appeals Court and accused of using social media “to publish false information and rumors” in posts that “harm national unity and social harmony and damage the country’s reputation.” In the run-up to his arrest in March 2017, Mr. Mansoor had posted a message on Twitter calling for the release of human rights advocate Osama al-Najjar, who remained in prison despite having completed a three-year prison sentence for tweeting to the Ministry of Interior expressing concern that his father was being mistreated in prison, and of Dr. Nasser bin Ghaith, a professor of economics who was detained in 2015 and about whom we have written to you several times, most recently on 7 January 2019. Like Mr. Mansoor, Professor bin Ghaith was a member of the “UAE5” arrested in April 2011 for “perpetrating acts that pose a threat to state security, undermining the public order, opposing the government system, and insulting the President” after signing a petition calling for political reform in the UAE. Your Highness, Your Excellencies, the UAE has invested heavily in recent years in portraying itself as a regional hub for knowledge and innovation and as a host to dozens of universities and branch campuses from around the world. However, the pattern of recent cases about which we have written to you repeatedly (see our most recent letters of 7 January 2019, 25 November 2018, 21 October 2018, 6 April 2018) led MESA’s Board of Directors to issue a press release on 15 November 2018 on Deteriorating Security Conditions for Researchers in the United Arab Emirates. We call upon the UAE authorities to end the suppression of virtually all forms of independent and free speech, release Mr. Mansoor and others imprisoned merely for voicing their opinions on social media and elsewhere, and take measurable action to improve the climate for scholarly research in the UAE that your hosting of so many higher education institutions appears to welcome.